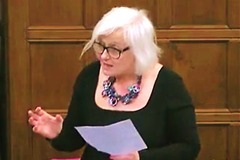 A new law proposed by Siobhain would make it mandatory to be on the Electoral Register if a person wants to access benefits or other public services. 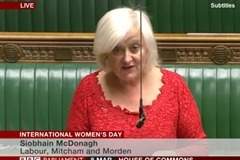 Siobhain says the new law will help in the fight against crime, and write a new social contract: if you want the benefits of living in a democracy, you should sign up to democracy! 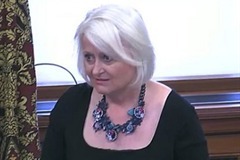 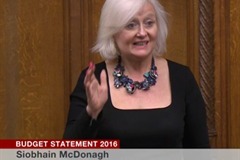 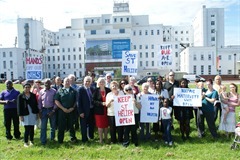 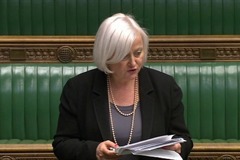 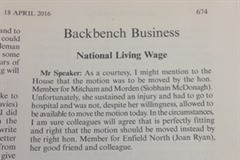 UPDATE - following her House of Commons speech in support of St Helier's A&E, Siobhain has complained that Ministers have failed to release £219m for investment at St Helier Hospital, promised in 2010. 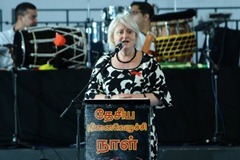 At a speech in Geneva to mark International Women's Day, Siobhain highlighted the plight of Tamil women in Sri Lanka, and argued that the country's redevelopent is leaving them behind.